Skip the line when you print your tickets at home. 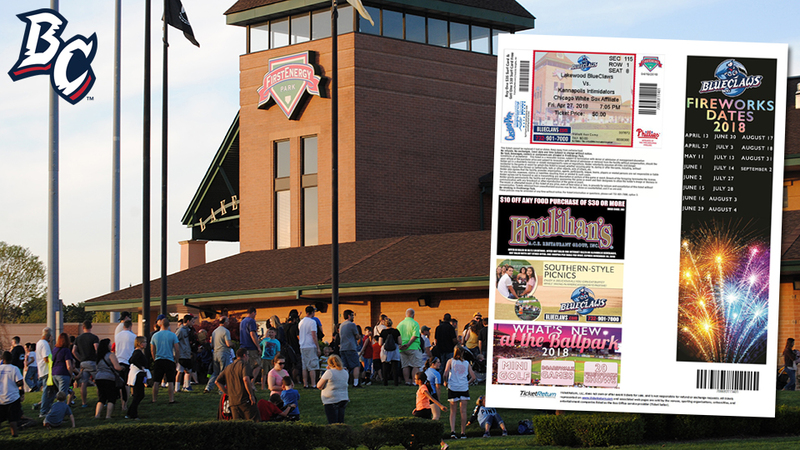 BlueClaws fans can bring their tickets straight to the gates by using Print-at-Home Ticketing available with any online single-game ticket order. Order single-game tickets online by clicking here. When the transaction is complete, select the Print-at-Home option. Simply print that ticket out and bring it to the gate, where it will be scanned for entry into the ballpark. Fans can also download the tickets to their mobile device, and that barcode can be scanned at the gates as well. There's no need to wait at Will Call to pick up your tickets. Just print them at home and head straight into the ballpark to enjoy a night of fun! The BlueClaws are the Jersey Shore's top stop for affordable family entertainment.